Swiss House: People I knew had been raving about this free house for a while so thinking it would be really crowded, we headed here for right when it opened in the morning. There was a long line for this snow globe thing that you could enter and experience fake snow – very popular among the Brazilians! We chose to walk around, take some pics, grab beers, and relax in the hammocks in the astroturf area. 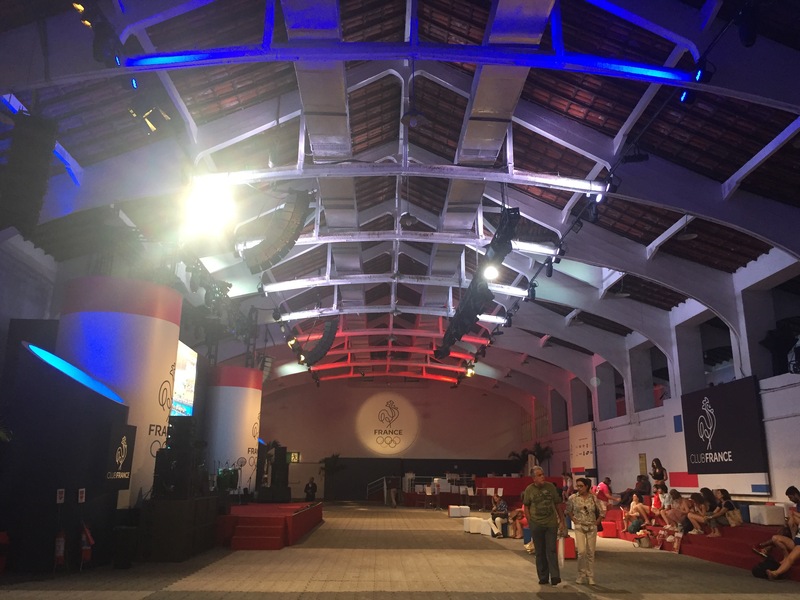 There was a big screen showing Swiss events and excellent food on hand. Compared to the Swiss House in Sochi that was inside Olympic Park there, this one was much larger, engaging, and meant to accommodate many more people. 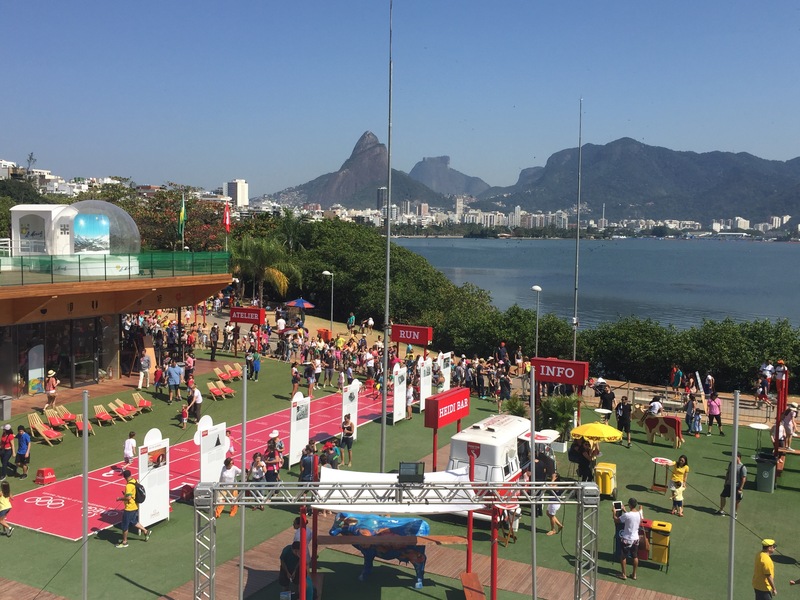 Right on the lagoon, it was a fantastic place to chill out and enjoy the Olympic atmosphere. 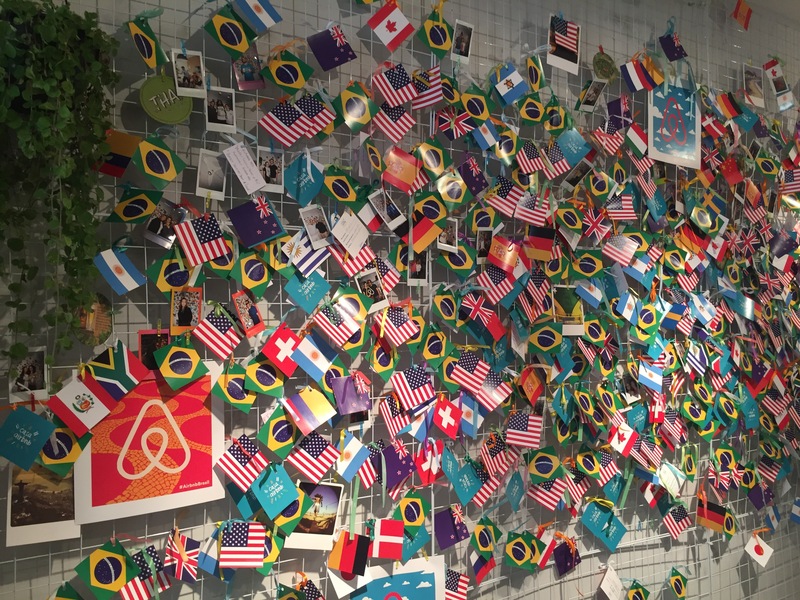 Airbnb House: As I booked an Airbnb prior to the Olympics in Rio, I was contacted about visiting the Airbnb House in the Ipanema Beach area. While it was on the smaller side, it featured impeccable interior design. 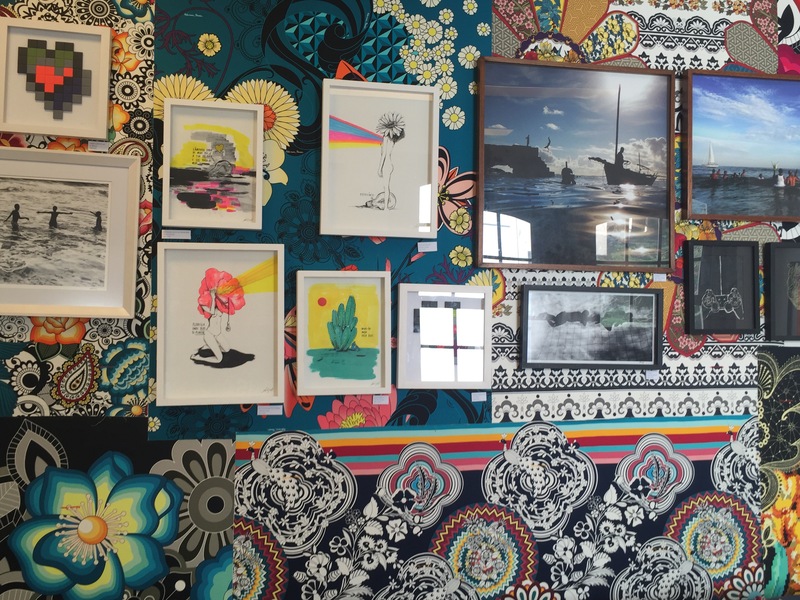 We later found out that the building usually serves as an art gallery. We were lucky as there weren’t many people there and got to chat with Airbnb employees from their main office in Sao Paulo. 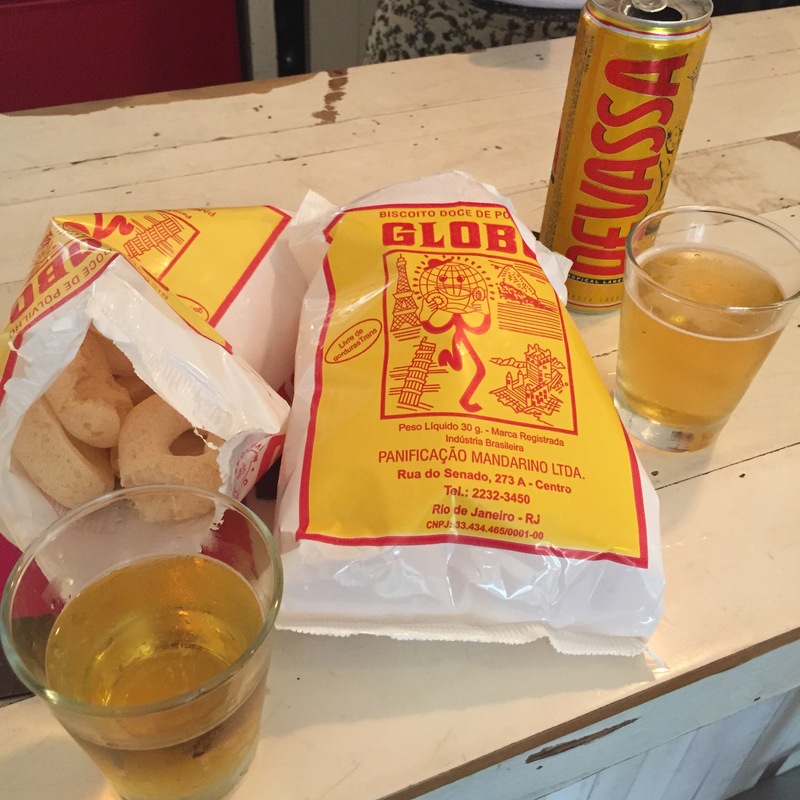 We were served free typical Brazilian beach snacks and local craft beer from Rio. There were also TVs showing some of the soccer matches. In the back, there was a large bulletin board with flag tags for guest to grab and stick on a map in the spot where they’re from. All you had to do was write your favorite place in Rio on the tag. Another great thing Airbnb did was give out their own version of the Salvador Bahia wish bracelets from the Bon Fim Church. Again, such a great place to relax! I especially liked the outdoor patio and enjoyed talking with the Airbnb folks. French House: “Club France” wasn’t too far from the previous two houses but getting there took longer than expected when our Uber got stuck in some nasty traffic. We’d heard that volunteers could get in for free if we just showed our credentials. We did just that and walked right in late in the afternoon. Like the Canada House and Holland Heineken House, Club France was based at a local community center/country club. There was a big area for kids to try out mini versions of Olympic sports like shooting. Many of the sponsors and other French companies also had kiosks and booths. 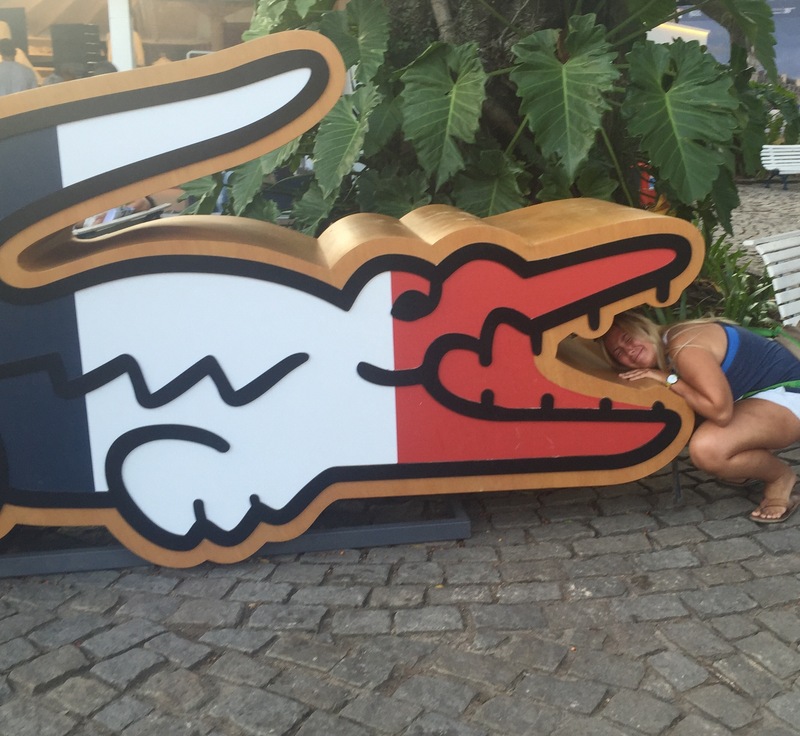 We liked the very fancy Lacoste store with the huge red, white, and blue Lacoste logo gator out front – at least we had fun posing! One warehouse had tons of food stalls featuring delectable French treats like crepes. Another warehouse housed the nightclub at the back (famous for where Ryan Lochte came from that night) and then had a big TV showing French sports events towards the front. The enclosed area itself was fairly huge. Jamaica House: We walked a solid distance to get to the Jamaica House, passing by the Hungary House, where a private event was going on that night. Once we got to the Jamaica House, we found out it unfortunately was sold out but at least I ran into a friend there! 2. Birthday Celebration Kick-off: As I mentioned before, the wind-down of the Olympics brought one boxing session per day instead of the two of the first week. That meant we rocked up around 1pm and could leave around 5pm-ish. Had a tasty volunteer lunch with some of my crew on my second to last day and then we headed off to our shift. We finished a little early and I rolled out with a couple fellow volunteers from the UK and the Virgin Islands to meet other friends for my birthday dinner. 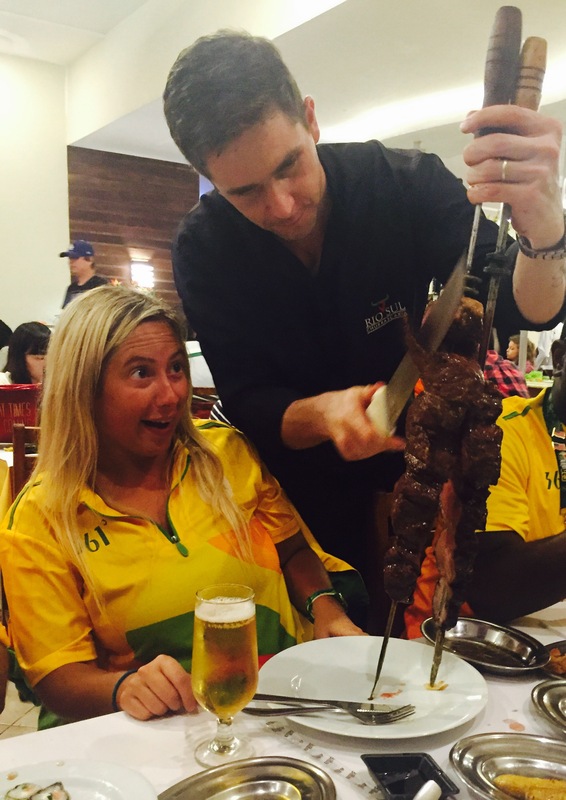 Yep, I was about to turn 30 in Rio – things could be worse, right? 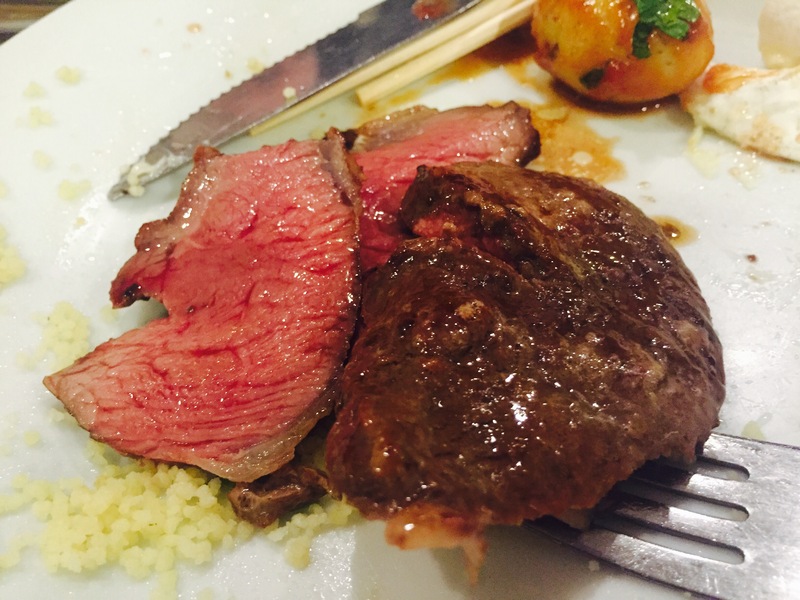 I had planned for a dinner at Rio Sul, a Brazilian steakhouse where they bring hunks of meat right to you at the table and cut some off onto your plate. About 12-15 other friends from my accommodation joined us for dinner and we had an awesome time. So much food! It was perfect because it was fairly close to Olympic Park and easy to get to. 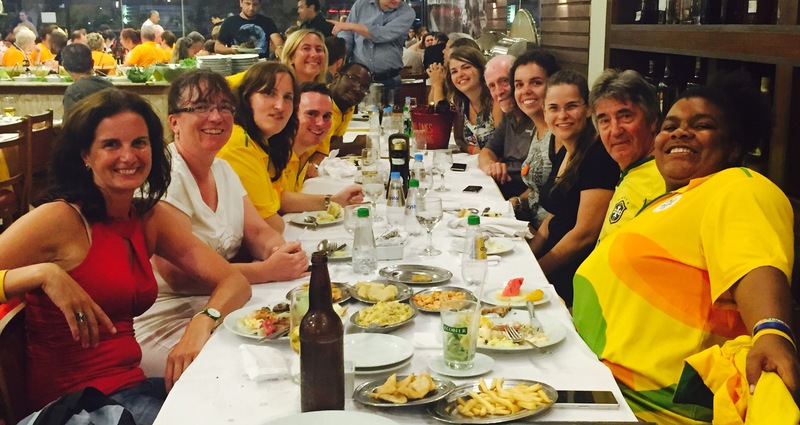 As a result, loads of other folks associated with the Olympics were also there – press, volunteers, fans, coaches. Some Canadian volunteer friends went and chatted with Canadian and Dutch delegation members sitting nearby. With the whole trading pins thing, they scored me a legit Team Canada pin and a cute Dutch team pin with little orange clogs. Lots of laughs were shared at dinner but a great highlight was on the bus home when the bus driver failed to close the doors despite crazy bumpy roads! So grateful to share my last few days of 29 with wonderful people like that.